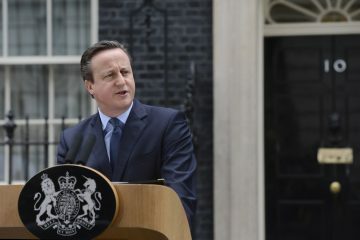 On 23rd January 2013, Prime Minister David Cameron made a speech that set out his vision for a renewed partnership between Britain and the European Union. Apart from a call for repatriating certain powers, the Prime Minister promised the British people an in-or-out referendum in 2017 should his party win the 2015 general election. Now, after the Conservative Party’s surprisingly won an absolute majority in the May ballot, Mr Cameron decided to fast track the referendum, to be held as soon as 23rd June 2016. The referendum process raised many important questions for the United Kingdom. Will David Cameron be able to negotiate a “New Deal” for his country before June 2016? How will his diplomacy affect Britain’s relationship with its European partners? Is a referendum of this kind democratic? And, what would a British exit from the EU—a “Brexit”—look like? Over the past year, the Oxford University Politics Blog has published a number of expert contributions that engage with these issues. Now that the UK has voted to leave, the series will focus on the consequences of Brexit, the exit negotiations, and the changing relationship between Britain and the EU. Britain’s Brexit Debate: Leave Albania out of this, please!